Geotargeting is the dynamic marketing of content to users based on their location. When users consume content that is tailored specifically to their location they are more likely to engage with it than if its geographical context is general or vague. How Can Geotargeting Help Plumbers? Plumbers who serve multiple cities within a region can create individual city pages for each location. The use of this strategy is not new but its evolution has improved its effectiveness. Unique city pages with original content can rank on organic for local keyword terms. Mass producing city pages by duplicating content is not a good idea and will not help you rank. Google sees duplicate content or spun content is a negative that hinders your site’s health. Sometimes plumbers have more than one physical location in which case they should create a separate Google My Business listing for each. This is only applicable to plumbers that can verify real locations in each area they represent. Using PO Boxes or Virtual Offices is no longer acceptable under Google’s guidelines. Attempts to trick Google with fake offices doesn’t work. 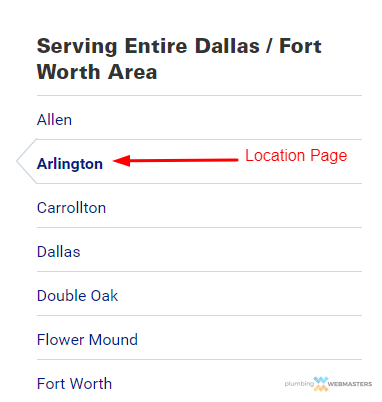 Each real location should be linked to its corresponding city page on your main plumbing site. Google’s emerging Beacon technology is something that will change the course of digital marketing for plumbers. 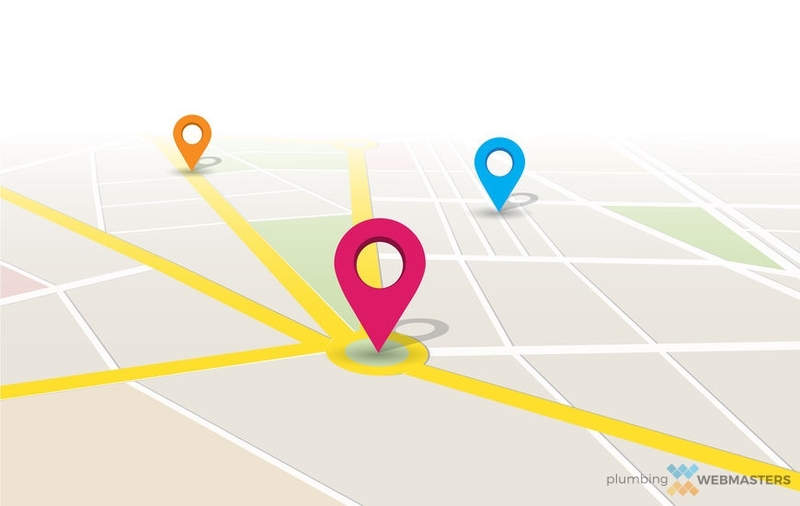 Although still in its early stages, the technology allows consumers within the proximity of a plumber’s mapped location to be targeted through notification alerts on their “smart” mobile devices. It works by transmitting bluetooth signals to nearby devices. While not every smartphone has a capability to receive it, more and more will as we go through 2019. 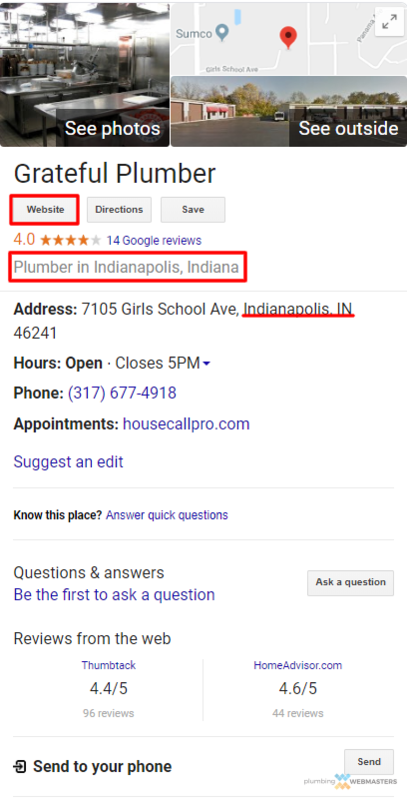 When plumbers appear on Google’s Local Map Pack which is the top 3 business listings for the corresponding keyword, they have proven association with the location of the searcher. If your main office is not within this radius the only way to rank there is with review pinning. Pins are map markers that show your reviews are coming from customers in a certain location. This adds credibility to your business and verifies that you have served customers in that specific area. Learn more about how to dominate local search results. Plumbing Webmasters is a full digital marketing agency that helps plumbers rank on Google for local keyword terms. Our services involve the development of a custom website, the optimization of Google Maps listings, and the writing of original content that is optimized for search engines. As a company that has been in business for a decade we are constantly evolving with the latest technology. Our existing clients remain with us because we don’t stop working after their website is launched. As new concepts like geotargeting emerge, we work to find solutions that will implement these ideas into an already successful marketing strategy. Updated on April 5, 2019 at 4:06 pm by Plumbing Webmasters.